Our Son Jesse sure is! 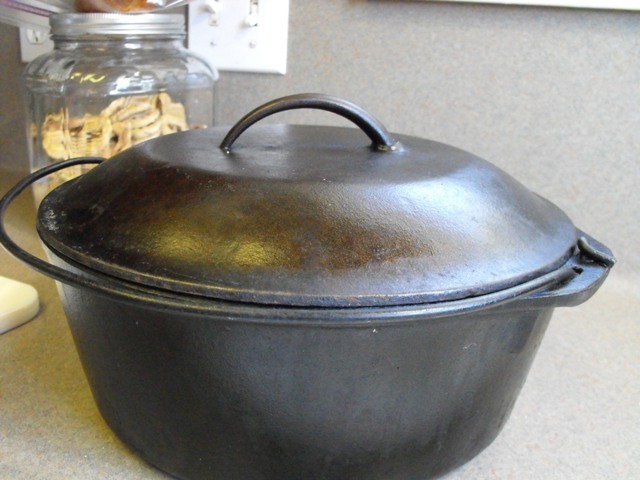 One black cast iron pot is all you need. Here in the deep south it's a tradition to start your marriage off right. One black pot is always given at a bridal shower. If you are lucky you may just score the entire set. 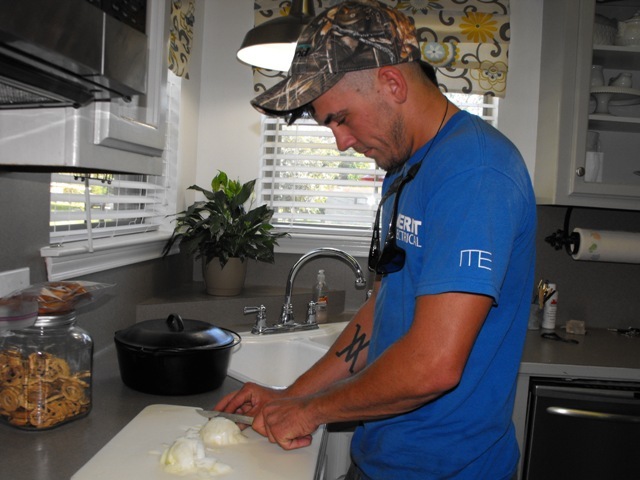 Jesse starts off by cutting up a large white onion. 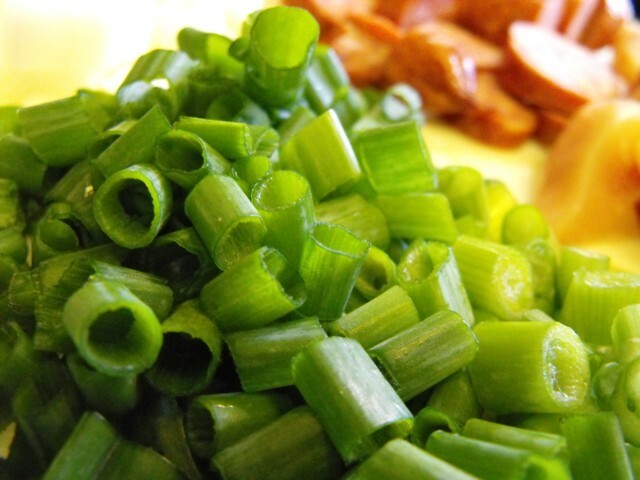 Then a good helping of green onions and a clove of fresh garlic. 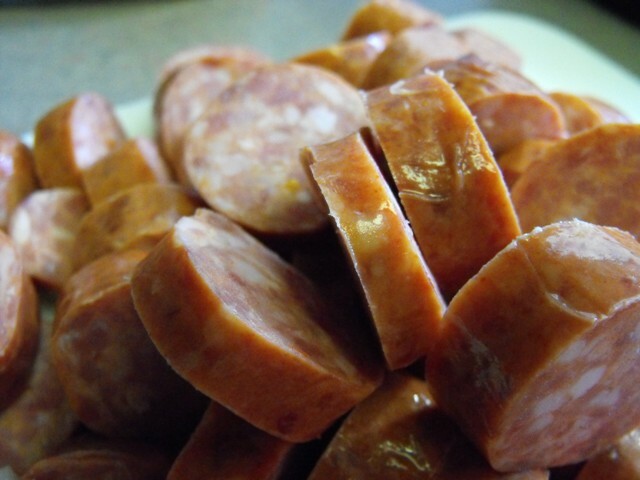 One pack of sausage or andouille. 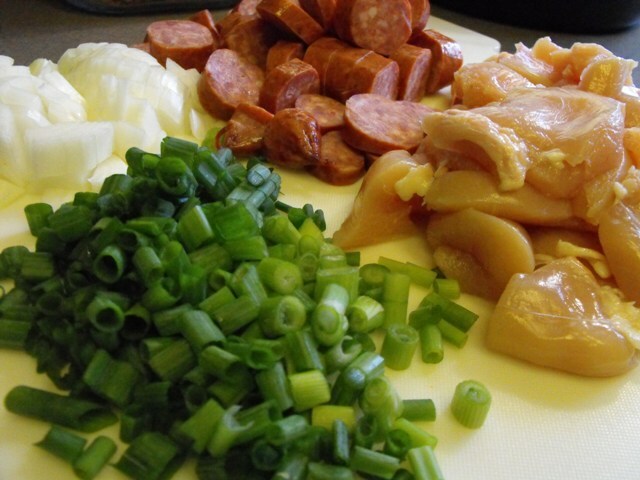 Cajun cooking was just what you had on hand. 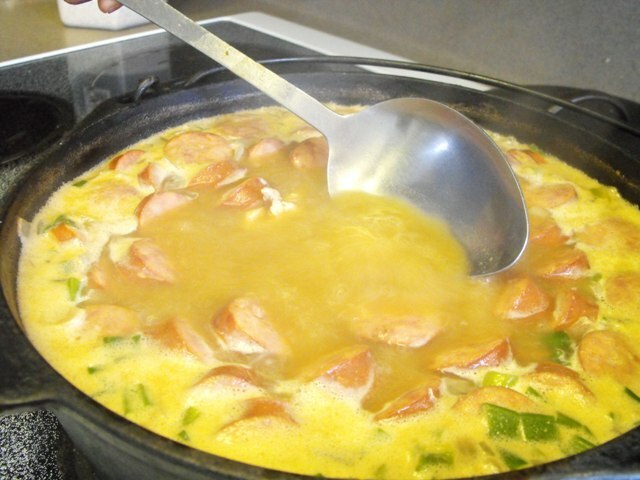 When times were hard and food was slim you made gumbo! Seafood, pork,chicken,dove...pretty much whatever you could get your hands on at the time. After you have all of your ingredients together just throw em in a pot of water. 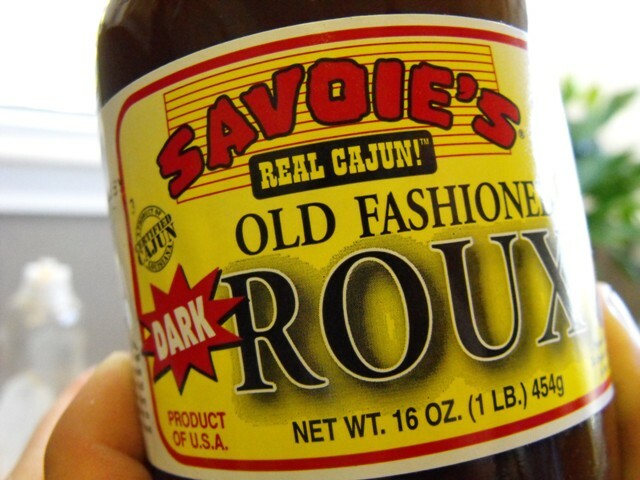 We use a real roux cooked on the stove but to make it easier you can use this too. It's just as good and super fast. Stir a few spoonfulls in and bring it to a boil. It will start to darken and fill your home with the best smell ever! Ohhh my goodness this is soooo good! We eat it over rice and have a loaf of french bread close by. Cajun cooking at it's finest sha' ! I always thought gumbo had shrimp in it? I can't stand the thought of eating shrimp - but this is one gumbo I have to try out! ps....do you think you will be heading up to the Farm Chicks show next year? Me and some girlfriends are planning our trip up to Spokane...I CANNOT wait!!! Arkansas huh? Cool my home town is Little Rock,Ar. 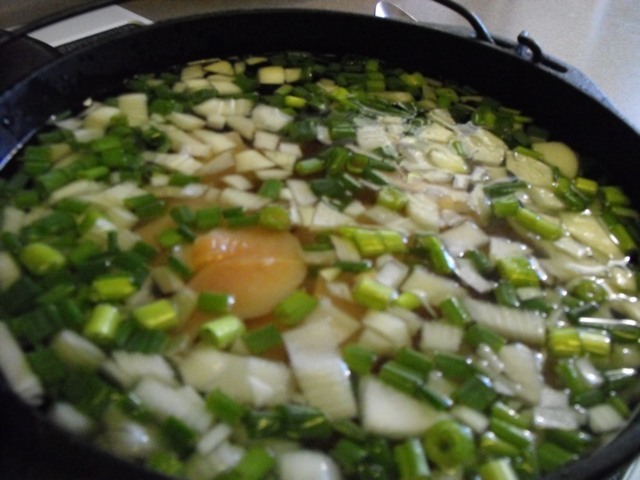 And we do have a way with the viddles.lol Great quick recipe.I love visiting your blog. 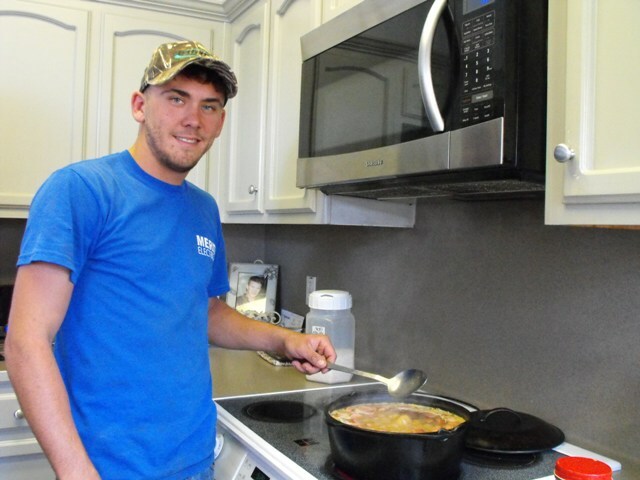 Jesse looks like he is a good cook! Our first year here in Louisiana we got invited over to someones house and they had gumbo and they also had potato salad. We didn't get why they put a scoop of potato salad over the gumbo as well. What does that do for the dish? I like gumbo over rice. you are right it's a nice hearty meal. 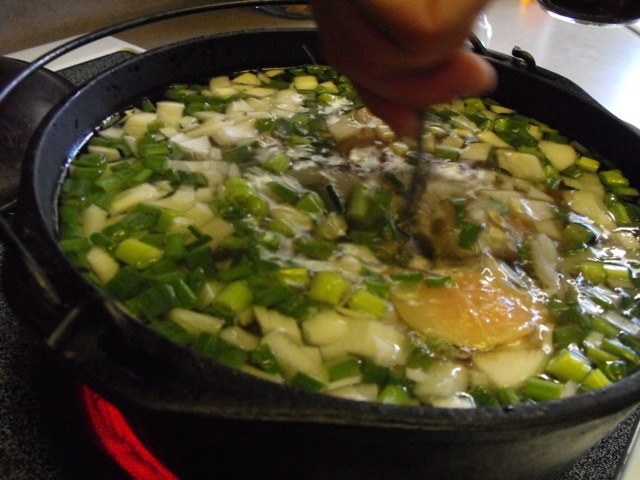 Our Mother grew up in South Louisiana,but she was not big on many of the Cajun dishes. She can't handle too much of the seasonings used.Any time her family comes to visit, they make it a point to cook up several Cajun dishes for our Kentucky family.We did learn to eat rice with everything imaginable though. 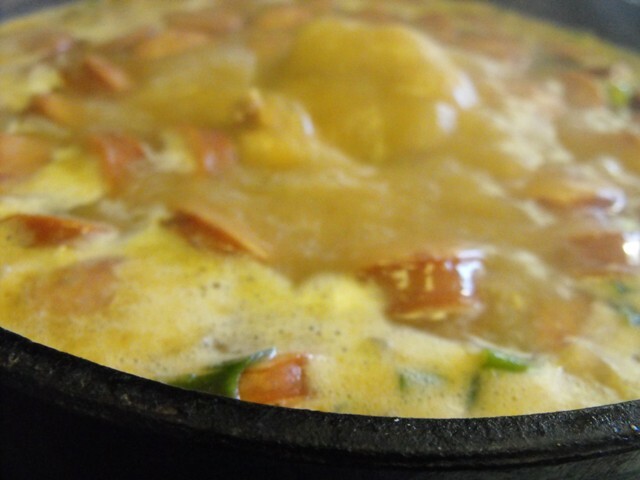 I made chicken and sausage gumbo and potato salad for supper last night too! Love it! My best friends husband is from Louisiana. His mom makes some of the best gumbo I have ever had (okay, it's the ONLY) LOL! gumbo I've ever had. Thanks for sharing your recipe. Oh, you're killing me! There will definitely be a pot of gumbo on the stove at my house next week. Yummy! My new sis-in-law is from Louisiana. Her family is Creole - she loves to cook cajun meals and has done a lot of it for our family!! Jesse looks comfortable in the kitchen - good job mom!! I've made it with dry roux before. Have you ever done that? With only browned flour? It worked out great! I can’t wait to try these. Every recipe I tried so far from your website has been SUPER GOOD! !